Actor Neil Nitin Mukesh shared the second poster of his upcoming film Indu Sarkar on social media today. 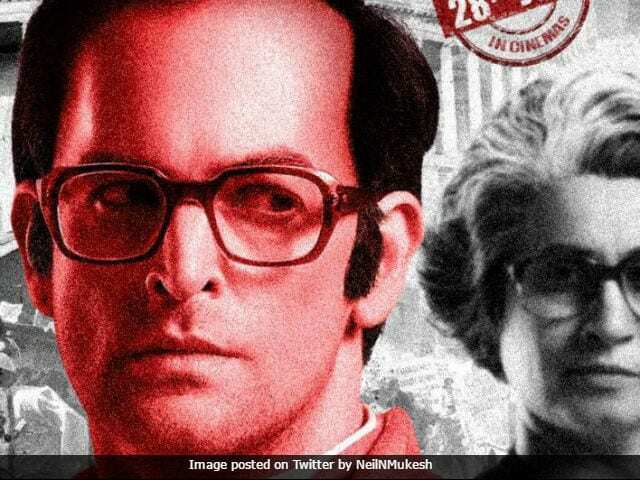 The 35-year-old actor, who portrays the role of Sanjay Gandhi in the film, looks a lot like the late politician on the new poster. Actress Supriya Vinod, who will be portraying the role of former Prime Minister Indira Gandhi, also features on the poster. "In my most daring character portrayed on screen ever," tweeted Neil Nitin Mukesh. Indu Sarkar, directed by Madhur Bhandarkar, is based on the period between 1975 to 1977, when Prime Minister Indira Gandhi declared a state of emergency across the nation. Indu Sarkar also features Kirti Kulhari, Tota Roy Chowdhury and Anupam Kher in pivotal roles. Last month, Neil Nitin Mukesh completed the shoot of Indu Sarkar. The New York actor shared a picture from the sets in which he was seen posing with filmmaker Madhur Bhandarkar. A still from Indu Sarkar had gone viral on social media in March. Indu Sarkar is Neil Nitin Mukesh's second collaboration with Madhur Bhandarkar. They have previously worked together in 2009 movie Jail. Indu Sarkar has been produced by Bharat Shah. The film is scheduled to release in theatres on July 28. Neil Nitin Mukesh last made a cameo appearance in 2016 movie Wazir. After Indu Sarkar, he will be seen in Rohit Shetty's Golmaal Again, co-starring Ajay Devgn, Tabu, Parineeti Chopra, Shreyas Talpade, Tusshar Kapoor and Arshad Warsi. Neil Nitin Mukesh will also feature as the antagonist opposite Baahubali's Prabhas in Sujeeth's Saaho.